After a short period of dropped sales earlier in the decade, and some radical changes to gas mileages and safety standards, SUVs are starting to move off car lots again. 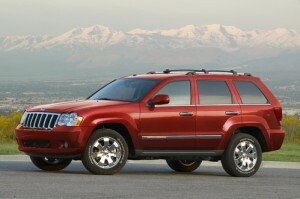 There’s something about an SUV that appeals to men, women, and children alike. Men enjoy the big, rugged look, the meaty engines, and the four-wheel drive. Women love the spaciousness, the comfort, the handling in inclement weather, and the storage space. Children love the extra room, the rear-seat DVD systems, and the fact that it’s harder for Mom and Dad to reach them in the back seat. All of this luxury, convenience, and happy children can now be found in a much safer, more economical SUV for under $40K. Let’s take a look at the top choices in this year’s line of the best new SUVs under $40,000. The MKX sports one of the most powerful V6s in the business. The 3.7L coupled with a 6-speed transmission with overdrive is rated to give 19/26mpg (city/highway) and pumps out 305 horses. It is available in both front-wheel drive and all-wheel drive options and sports one of the best warranties around at 4 years – 50,000 miles bumper-to-bumper, 6 years – 70,000 miles powertrain and roadside assistance. 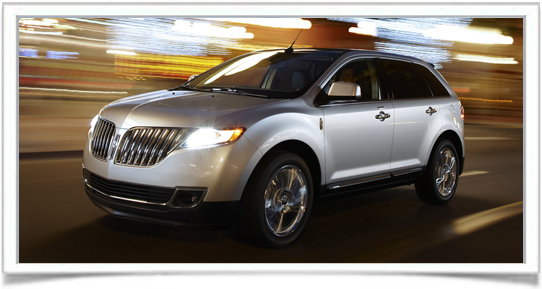 The list of options accompanying the MKX is typical Lincoln luxurious. Premium AM/FM stereo with 6-disc CD changer and 2 USB ports, as well as an auxiliary input SD memory card reader, and Ford’s voice activation Sync system both come standard. You’ll also get remote entry, push-button engine start, power outlets, navigation system, and the DVD entertainment system. 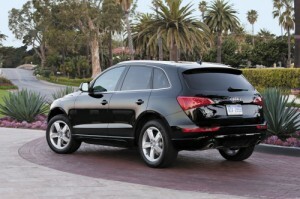 Labeled as a “crossover” SUV, the Q5 is available with a 3.2L V6 or the turbo-charged 2.0L 4-cylinder. Gas mileage is obviously better with the 4-cylinder, rated at 20/27mpg, but only drops slightly with the V6, down to 18/23. Both models come equipped with all-wheel drive and manage a 5-star safety rating in all front and side crash tests. The list of features is comparable to competitors and even includes Sirius satellite radio. Audi has a decent history of reliability and it’s a very good thing because parts for repairs can be outrageous. That’s the price you pay when you get a car that’s manufactured halfway around the world in Europe. The amount of interior comfort should more than make up for it as it has a seating capacity of 5 but feels like much more when you stretch your legs. The granddaddy of the SUV is still going strong as this year’s Grand Cherokee comes available in six different trim options, all sporting the 3.6L DOHC Flex Fuel V6. It’s rated at 16/23mpg but Jeep has never staked their reputation on being friendly at the gas pump. Instead, they deliver on what anyone would expect from an SUV; rugged style, power, and comfort. And let’s not forget reliability. The Grand Cherokee is only two years away from its 20th birthday and still going strong. Although it is available in both 2 and 4-wheel drive, the 4-wheel option just seems to go hand-in-hand with the Jeep name. It also provides that much needed traction if you live in the northern parts of the country. While not known for being deeply luxurious, the list of options has grown over the years. This year’s model will include push-button starting, keyless entry, electronic stability control, Sirius satellite radio with one year of service included, and an enhanced accident response communication system. It’s also one of the lowest priced in its class.